Chanteuse Country US née Miriam Johnson, le 25 Mai 1943 à Phoenix (Arizona). 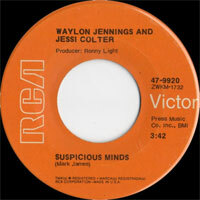 Jessi Colter a été marié avec Duane Eddy et Waylon Jennings. Perhaps best known in conjunction with her husband Waylon Jennings, Jessi Colter was the only significant female singer/songwriter to emerge from the mid-'70s "outlaw" movement. 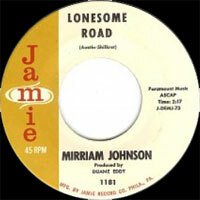 Born Miriam Johnson on May 25, 1943, in Phoenix, AZ, Colter in fact affiliated herself with outlaw imagery long before the musical movement blossomed, adopting her stage name in honor of ancestor Jess Colter, a real-life train robber and counterfeiter who rode with Frank and Jesse James. Raised in a strict Pentecostal home, Colter was just a teenager when she left Phoenix to tour as a Vocalsist with twang-guitar innovator Duane Eddy, whom she met through her sister Sharon, the wife of producer "Cowboy" Jack Clement. 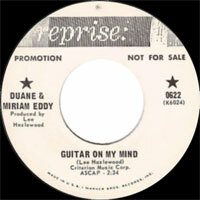 In 1962, she and Eddy married, and after several years of extensive touring (mostly throughout Europe), the couple settled in Los Angeles in 1966. Under the name Miriam Eddy, she wrote songs for Don Gibson, Dottie West, and Nancy Sinatra. In 1968, she and Eddy divorced, and Colter returned to Phoenix. There she met Waylon Jennings, who was so taken with her voice that he invited her to record a duo with him. 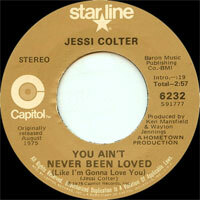 After helping secure Colter a record deal with his label, RCA, Jennings co-produced the tracks that would make up her 1970 debut, A Country Star Is Born; by the time of the record's release, the couple had already married. 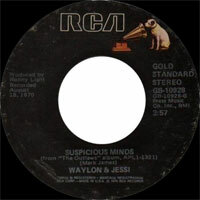 Under the name Waylon and Jessi, they also issued two Top 40 singles, a 1970 cover of the Elvis Presley hit "Suspicious Minds" and 1971's "Under Your Spell Again." 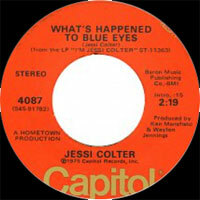 Colter's commercial breakthrough came in 1975 when her composition "I'm Not Lisa," a single from the LP I'm Jessi Colter, hit number one on Billboard's country charts while also making the Top Five on the pop charts; the album spawned another hit in "What's Happened to Blue Eyes." In 1976, she released two more highly successful albums, Jessi and Diamonds in the Rough. 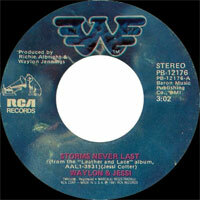 Colter and Jennings reteamed in 1981 for Leather and Lace, an album of duos featuring the hits "Storms Never Last" and the medley "Wild Side of Life/It Wasn't God Who Made Honky Tonk Angels." 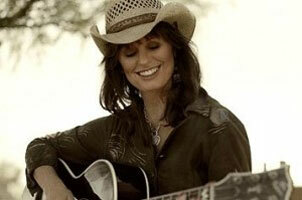 In the same year, she released the solo album Ridin' Shotgun, which produced her final chart hit in 1982's "Holdin' On." As the 1980s progressed, Colter's success tapered off; 1985's Rock and Roll Lullaby, produced by Chips Moman, was released only on a small label. By the early '90s, she began directing her energies toward performing children's music, and starred in the home video Jessi Colter Sings Songs from Around the World Just for Kids, which featured a guest appearance by Jennings, who recited some of his poetry. Capitol released the An Outlaw...a Lady: The Very Best of Jessi Colter anthology in 2003. It was followed by Out of the Ashes on the Shout! Factory label in 2006. Over the next two years, Colter and guitarist Lenny Kaye recorded improvisational melodies for Psalms. During the next decade, Kaye worked on finishing the album by adding additional instrumentation. The Psalms was released in March 2017. 1984 SP TRIAD TES-2001 (US) . I Want To Be With You / ?